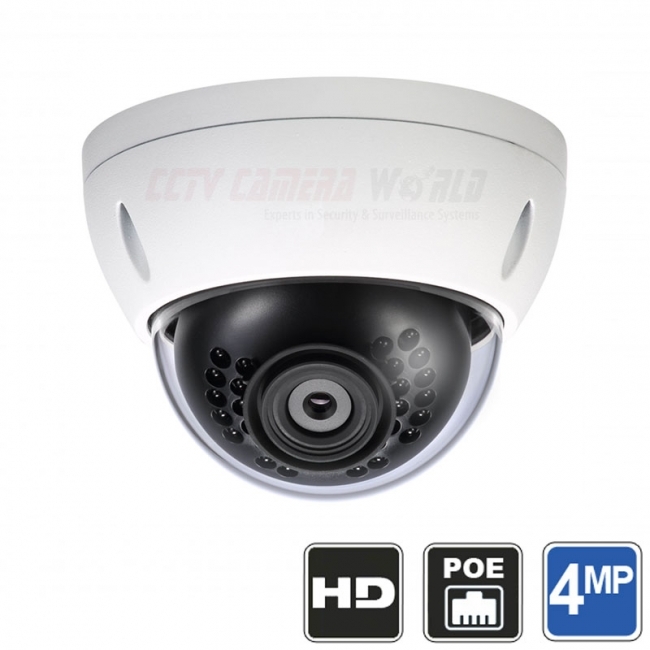 This eight camera IP system with 4MP wide angle dome cameras will provide you security footage that will amaze. With double the resolution of normal HD, these 4 megapixel security cameras will provide a clear image that's twice the clarity of the best 1080p cameras. You will be able to see a face up to 50ft away at a wide 84 degree angle of view in daylight, and up to 35ft away at night in complete darkness. The cameras have 100ft of night vision to see general detail. Like all of our IP camera systems, this system is truly plug and play. Simply install the cameras, and run the included Cat5e cables back to the NVR. The 8 PoE ports on the back of the NVR will both power and transmit data to and from the cameras. One CAT5 cable per camera will both power and transmit data up to 300 feet without a repeater. No time or money wasted on extra tools, parts, or cable. You'll be on your way to enjoying the comfort that your property is protected in no time, whether you're home or on the go. The cameras are suitable for outdoor and indoors use. With an indoor/outdoor IP67 weather-proof rating these cameras will stand up to some of the harshest conditions. The dome design makes these cameras difficult to tamper by vandals. The cameras are small and discrete, and great for use at home or office. This is a wired security camera system, hence the cabling that is included.